The Sunday before Mardi Gras is probably the biggest day for parading in New Orleans. 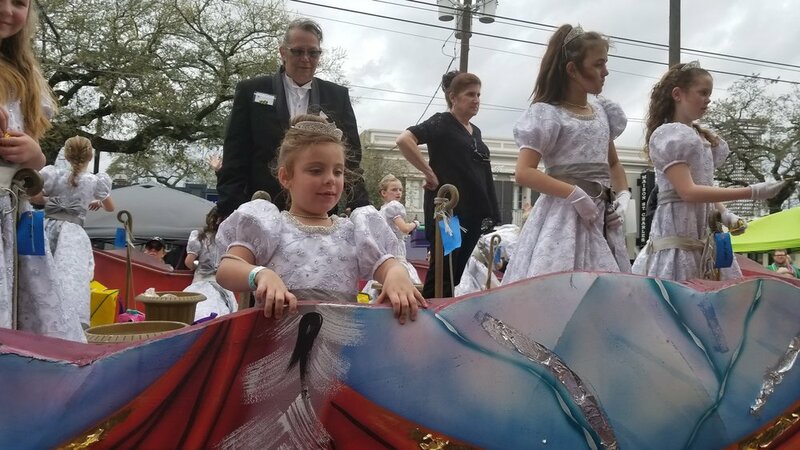 And while that was still the case in 2019, the threat of severe weather cut a bit of the fun short as the first parades of the day rolled without bands and walking groups. 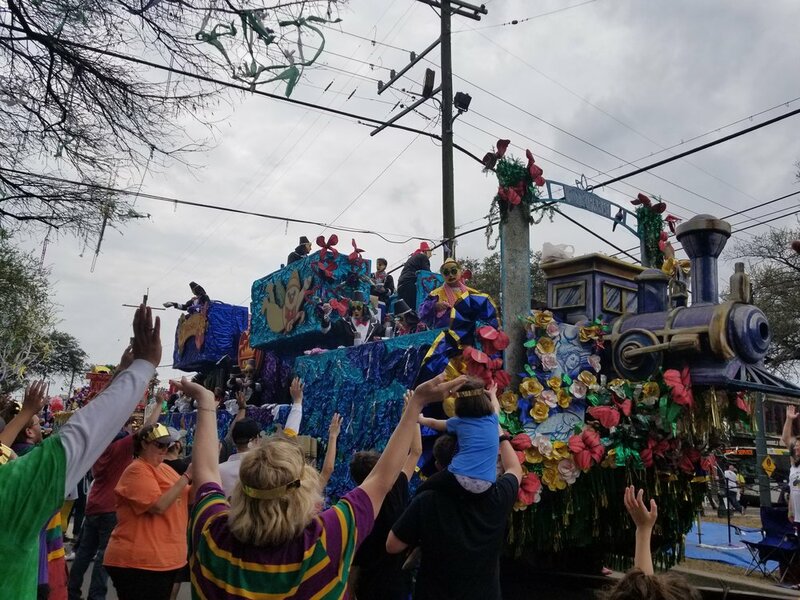 Okeanos, which celebrated its 70th year in 2019 was the first to roll Uptown and even with floats only the Krewe didn’t disappoint as its colorful floats and generous throws delighted everyone along the route. Vince Vance & the Valiants, Darth Vader and even “Elton John” were all part of the fun. Okeanos gets its names from the Greek God of Oceans and Fertile Valleys. This 70 year old Krewe is the first to roll through Uptown New Orleans on the Sunday before Mardi Gras. My daughter demonstrating “girl” power as Rosie the Riviter rolls by. Elton John rolling through Uptown New Orleans. or at least a great likeness of him. Darth Vader makes an appearance in Okeanos. This 70 year old Krewe is the first to roll through Uptown New Orleans on the Sunday before Mardi Gras. 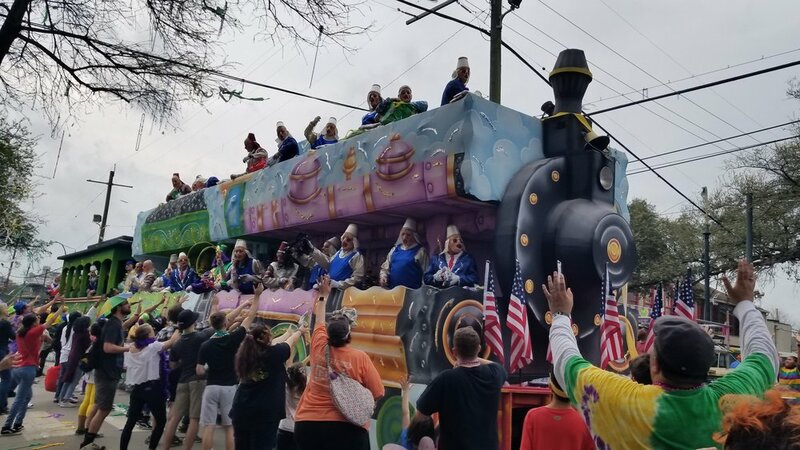 While some krewes at Mardi Gras are big and flashy, the Krewe of Mid-City offers something no other parade does. All the floats in this relatively small parade are decorated with foil. 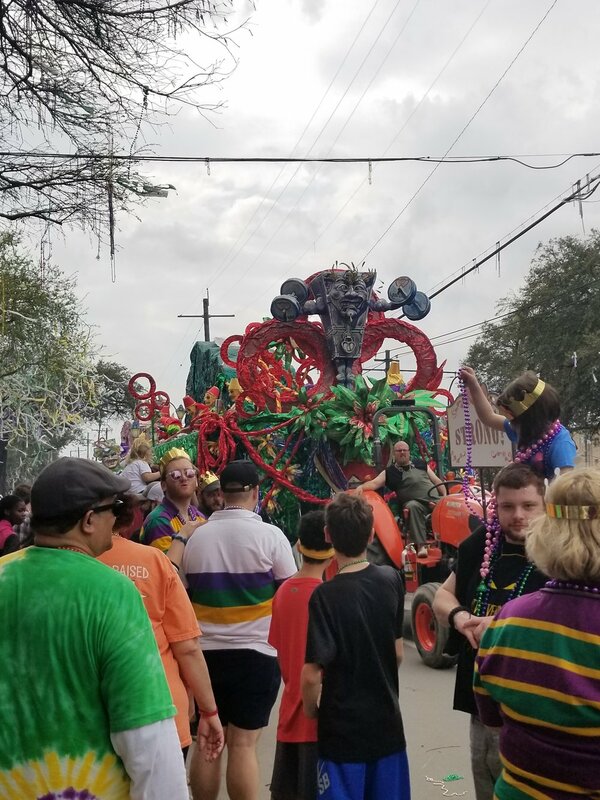 The Krewe’s motto is “Pour La Joie De Vivre” … “For the Joy of Life” and with a membership limited to 300, it’s quite an honor to be a part of the organization. 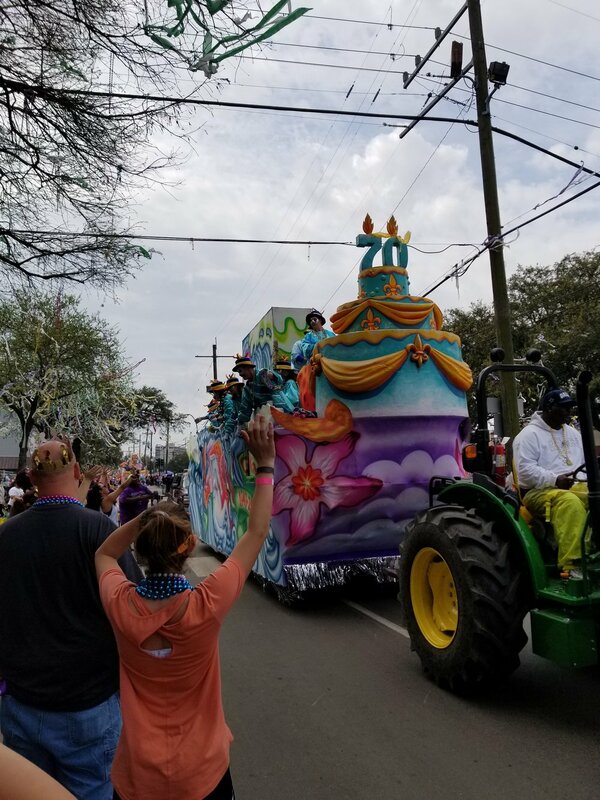 The Krewe of Mid-City is the 5th oldest parading organization in New Orleans. 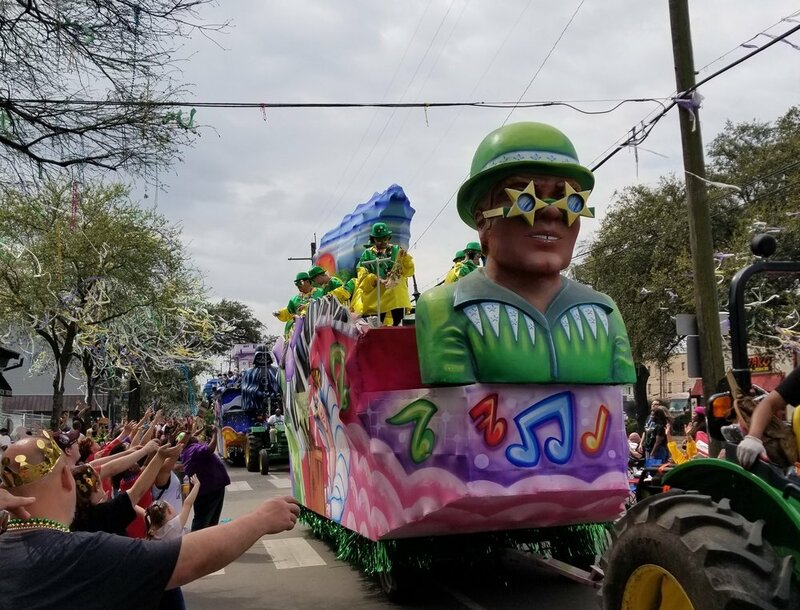 While members throw many traditional items off the floats, Mid-City is also known for it’s “Got Foil” t-shirts and Mid-City Potato Chips (made locally by Zaps Chips). 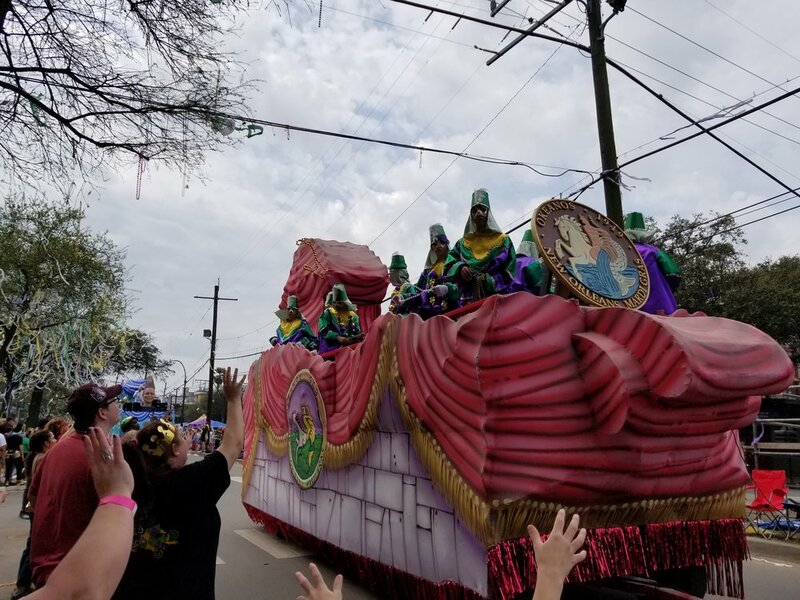 This parade features brightly colored floats decorated in foil. The krewe is relatively small with a cap of 300 members. It’s the 5th oldest continuously parading organization in NOLA. 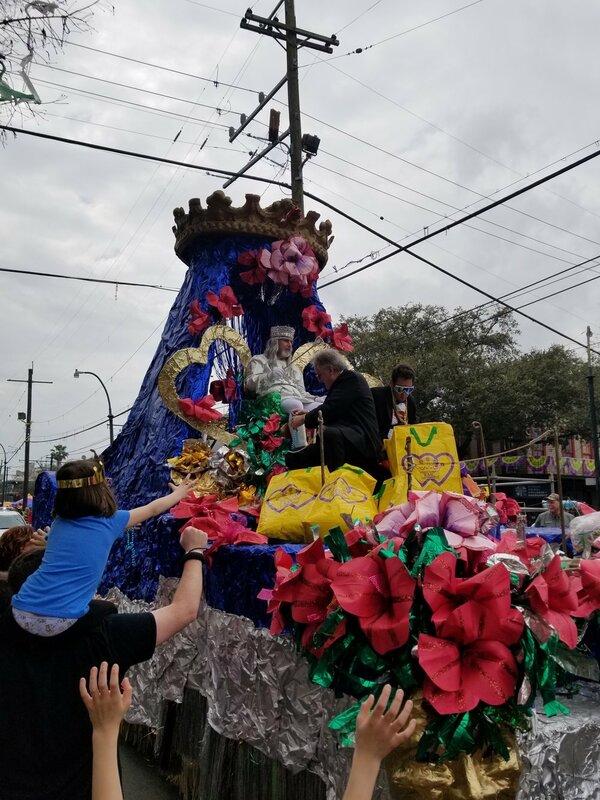 Potato Chips from the Krewe of Mid-City are a coveted throw during Mardi Gras. 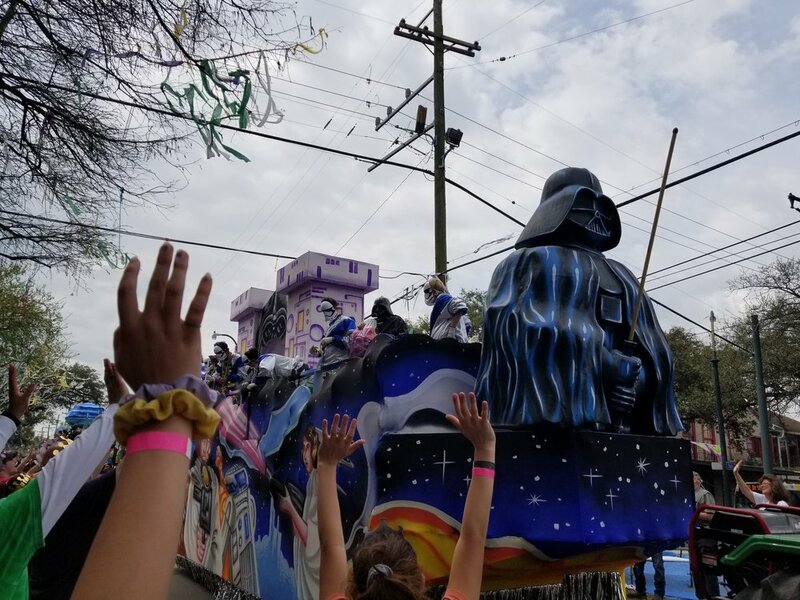 The third parade to roll on the Sunday before Mardi Gras is Thoth. Over the years, we’ve watched this parade grow and grow and grow. It’s now 1600 members strong and has nearly three dozen floats. This year was especially cool for us as our friends’ cousin was the King of Thoth. 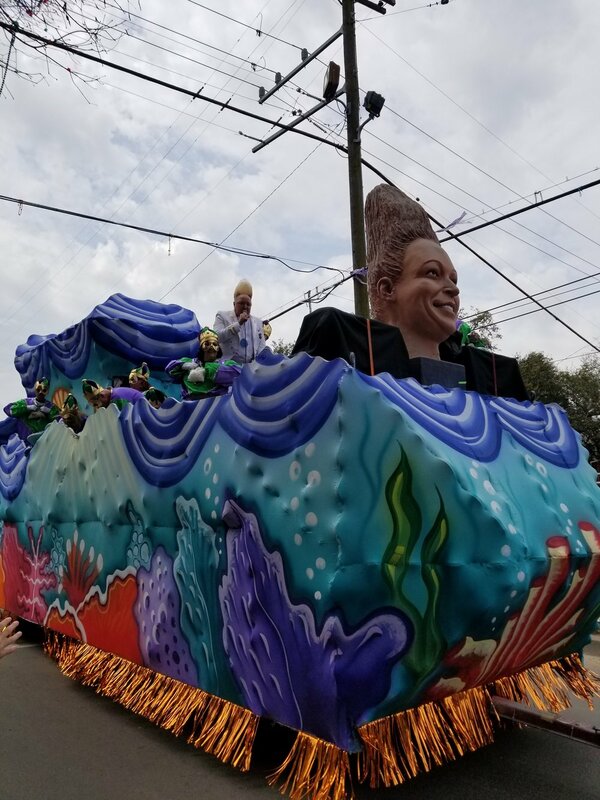 As his float passed by us he ordered it to stop with a blow of a whistle and we toasted him and he reciprocated by showering us with doubloons . Our group also had another participant in the parade, “Lady Kira” who had pretty much deleted her supply of throws before she passed by us, but oh how cute she was! This Krewe is now 1600 members strong and has rolled since 1947.